Roll the Dice and Score! 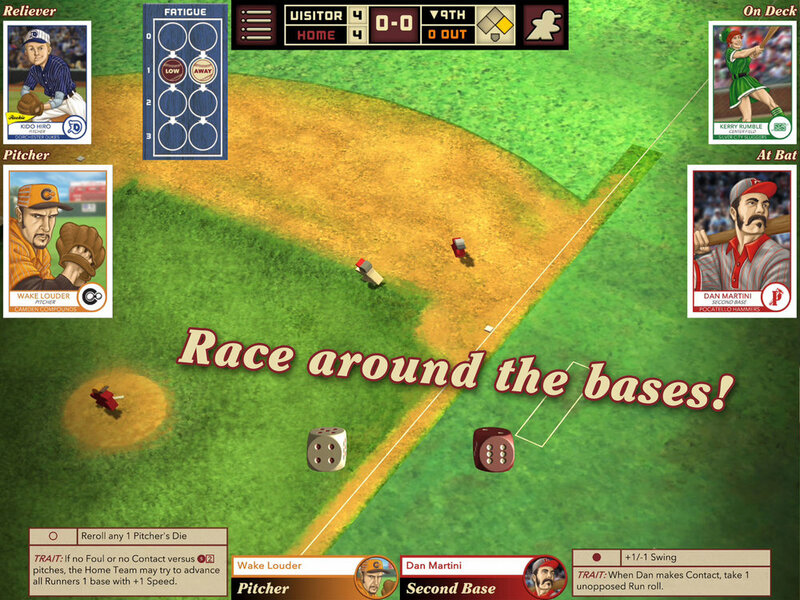 Bottom of the 9th is a baseball-themed tabletop game that combines cards & strategy with dice & action. Either way, pop open your personal telephonic contraption and play, because there's nothing that's quite like the thrill you feel in the Bottom of the 9th! Want to stream Bottom of the 9th on Twitch, YouTube, or elsewhere? Great! We have no restrictions on streaming or monetization. Planning to play Bottom of the 9th regularly? Get in touch and we may even rehost you from the official Handelabra channels!